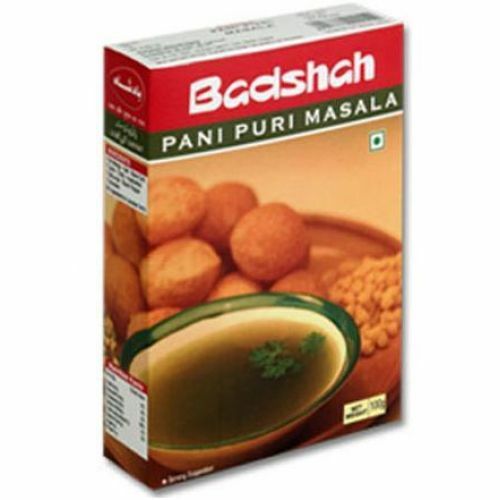 Badshah Pani Puri Masala contains cumin (jeera), tamarind and chilly powder. It can be served with chole and can be used in chaats. Jeera gives it the soothening properties, while chillies and tamarind give it a hot and sour taste. It is instant food requiring no preparation and is great party food. Ingredients: Dry Mango, Salt, Black Salt, Cumin, Chilly, Asafoetida, Citric-Acid, Black Pepper, Coriander.